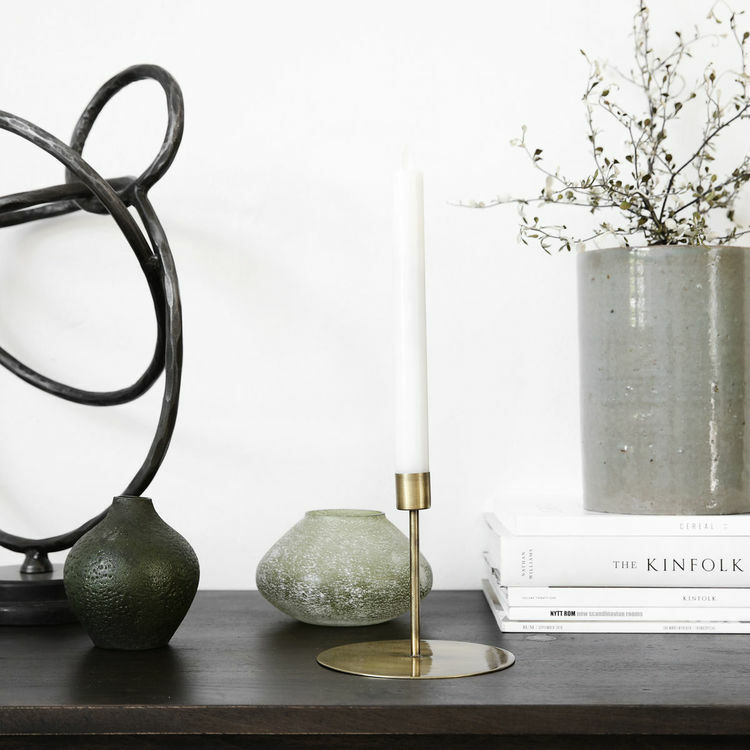 Candles bring a cosy and warm atmosphere to the room. 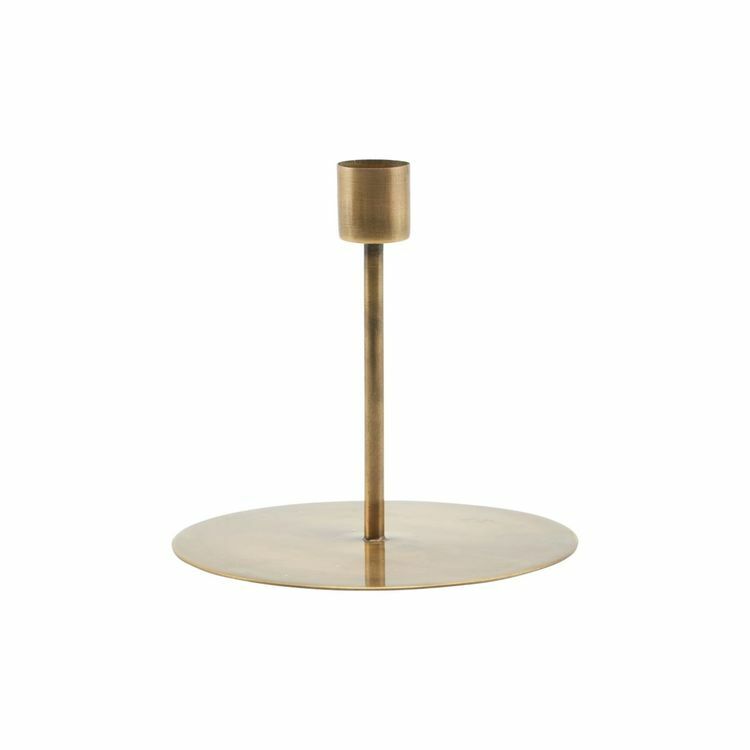 With the Anit candle holder from House Doctor, you get a beautiful, iron candle stand for tea lights or candles. 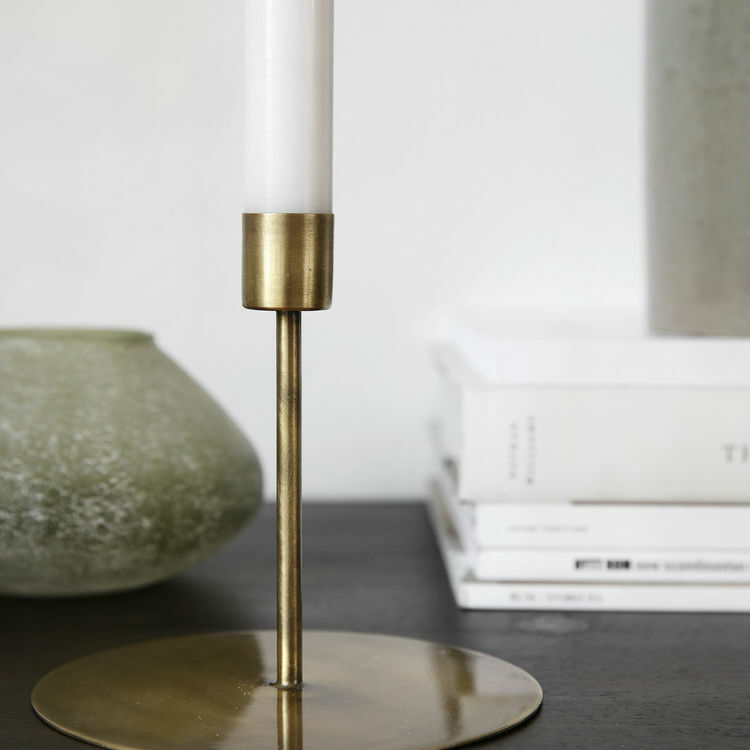 The candle stand’s antique brass colour combined with its iron structure gives it a unique and raw look. 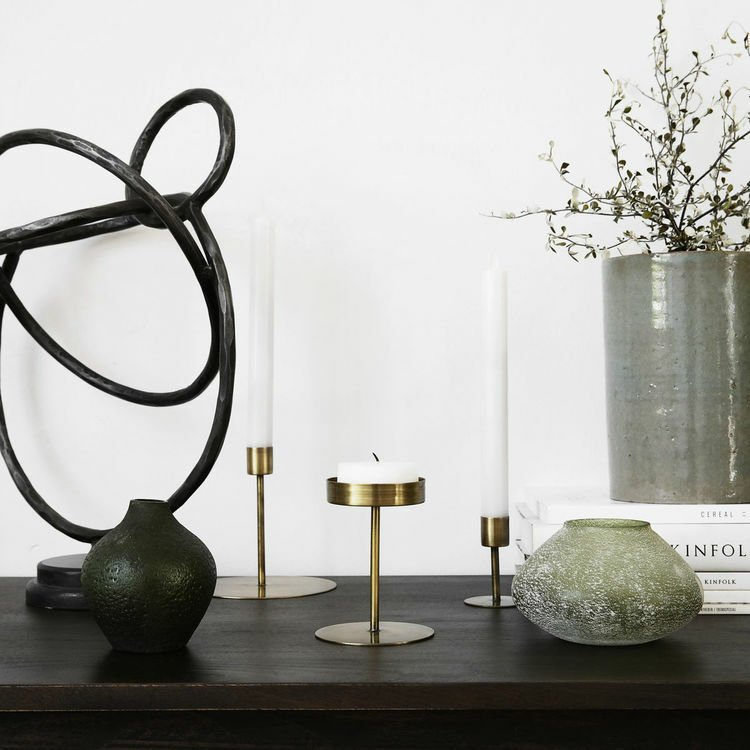 The design is simple with round shapes. 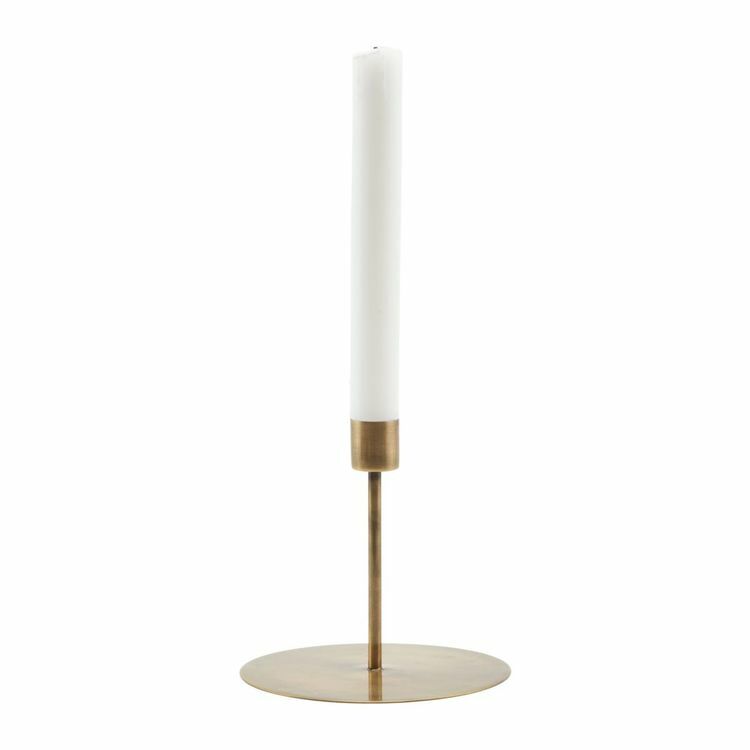 Use it as a table decoration for when you have guests over, or use it as part of a cluster with other candle stands in different materials for a personal look. Dimensions: dia. : 13 cm, h.: 12 cm.